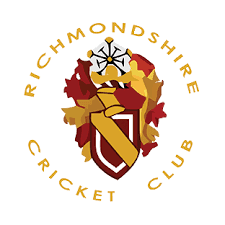 Richmondshire won by 89 runs - Blackhall 45-7 (net 210) Richmondshire 124-5 (net 299). After winning the toss and electing to bowl, captain Will Shaefer and bowling partner Max Percival kept it tight to set the tone for a great bowling performance from the whole team. Max deservedly took a wicket and Will deserved more from a great spell. Further excellent bowling from the team including another wicket from the ever consistent Eddy Player and brilliant keeping from Isaac Bottomley kept the Blackhall score low, debutants Zak Stolarski, Thomas Pyrah and Raam Raj surely giving coach Mike White the best kind of selection headache! The star of the bowling attack was Lorcan O’Neill with two wickets for 4 runs and one maiden; Isaac taking a catch and two stumpings. Max Percival and Fin Clarke set off quickly in reply with their biggest partnership of the season, Fin scoring 11 and Max hitting a huge 21 (though running in between the wickets wasn’t always great!) More big scores followed from each pair, the highlight being a second successive 3 from Andrew Ralph and Isaac! Finally, Captain Will (19) and Raam (9) battered some huge boundaries to seal a great win!